Give yourself some time to make these Sticky Buns, they are a bit of work, but well worth it. I made one batch with a Granny Smith apple and the second batch with a cup of pecans. I had my kids taste them and they are both wonderful. The buns are not heavy, but a lighter dough. These are perfect for a brunch party, or just when you happen to have a lot of kids in the house. Each sticky bun is a two bite size, so have a couple! Light and fluffy Sticky Buns, apple or pecan. After 1 hour, add remaining flour, baking soda, baking powder, and salt. 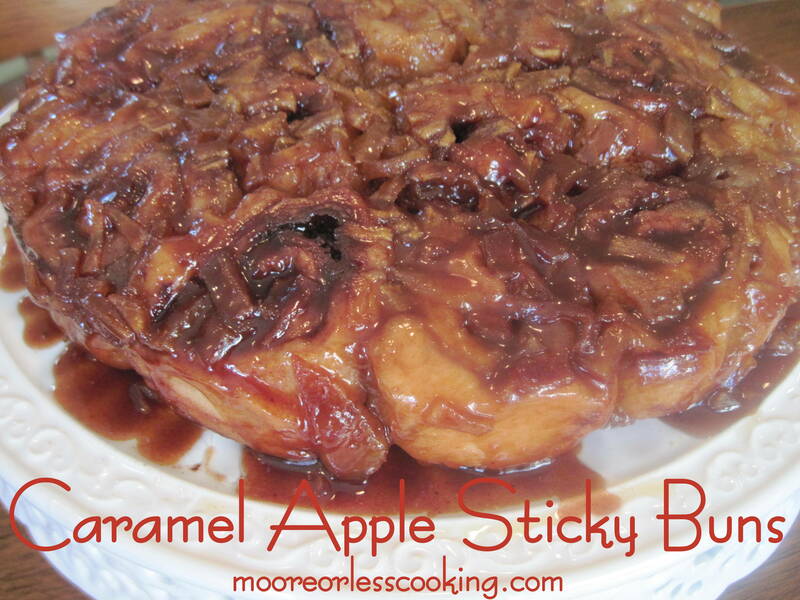 Add 1 stick butter, brown sugar, corn syrup, cream, and optional apple brandy or apple juice. Allow to melt over low heat until totally combined. Allow to boil for a few seconds, then remove from heat. I substituted pecans for apples for the second batch. I used 1 cup roughly chopped pecans. My kids didn’t leave any apple cider in the jug, so I had to omit it, still wonderful! CARAMEL OMG! APPLE TOO YUM! This looks really yummy Nettie! Maybe for Christmas morning! Literally just wiped drool up off my keyboard!